Debt Amount -Select Debt Amount-$0 - $4,999$5,000 - $7,499$7,500 - $9,999$10,000 - $14,999$15,000 - $19,999$20,000 - $29,999$30,000 - $39,999$40,000 - $49,999$50,000 - $59,999$60,000 - $69,999$70,000 - $79,999$80,000 - $89,999$90,000 - $99,999$100,000 + Please Select Your Debt Amount. Please contact me with more information. I agree to communication by phone, email or sms regardless of prior preferences. Normal cell & text message charges may apply. What's Included In Your Free Savings Estimate? How Much You Could Save. How Many Months To Resolve Your Debt. Benefits Over Other Debt Relief Options. Your New Low Monthly Payment. Struggling to pay back your debts? We have counseled over 180,000 people since 2000. There are legal debt relief options available. The solution is often faster, easier and saves a lot more money than what you may be doing now. Are you considering the services of a debt settlement company, debt negotiation, consolidation, or a tax debt relief company? For unsecured debts such as credit cards, personal loans, certain private student loans, or other similar, a debt relief program may give you the solution you need. Debts could have accumulated for numerous reasons such as an unfortunate hardship, overspending, divorce, or other issues. The decision to get help could be a result of starting to go delinquent, getting creditor calls, or the realization that paying minimum payments, one could pay off the debt numerous times with the balances remaining. Having debt issues is stressful. One starts to lose sleep and feels pressured. Normal activities don’t feel as enjoyable. If you have tax debt, it can be even more stressful and have you feeling even more pressured because taxing authorities have the power to garnish, levy, lien and other worse things to ensure that they get paid. The good news is that there are legal solutions to help resolve your financial issues. For unsecured debts, there are various options such as debt consolidation, debt settlement, debt negotiation, and other debt relief programs. For tax debt issues, there are various IRS and State tax debt solutions such as correcting prior tax return preparation mistakes with tax return amendments, an Installment Agreemens, Currently Non-Collectible, Offer In Compromise, filing returns for Substitute Filed Returns, Audit Defense, Partial Payment Installment Agreements, and more. For debt relief, CuraDebt has been helping people and small businesses since 2000 nationwide. As a Top Rated company by numerous independent organizations and with hundreds of thousands of people counseled successfully over the years, you can trust that you are in the best hands for resolution of your financial issues. For tax debt relief, CuraDebt has a team with over 100 years combined experience solving tax debt issues with a focus on tax resolutions, audit defense, complex resolutions, offers in compromise, partial payment plans, and currently non-collectible resolutions. The lead of the tax department has extensive experience solving 7-figure tax issues for individuals and small businesses. The tax relief team is one of the most experienced in the industry with over 83 years total previously working at the IRS or state tax authorities. For both unsecured debt relief and tax debt resolution, much like other professional services such as surgery,it is critical to do things right the first time, and by having the most experienced team, you are ensured to get the best possible results. In addition, reviews from clients, ratings from reputable rating agencies, and the company being free from recent unresolved complaints are some additional important criteria. Are you making minimum payments on your unsecured debts, but not going anywhere or are already falling delinquent? Thousands of people come to us each month stating that they are making minimum payments on their credit card debts and other unsecured loans, yet the balances have not gone down. In some cases, they have already paid back the amount they originally spent, one, two or even three or more times. Most people have no or very little money left over at the end of each month for emergencies or recreational activities. While they may be current with payments, their creditworthiness is very poor because they cannot make a payment on a new loan. In some cases, they keep doing what they are doing until an emergency occurs, at which time they come to us for a solution; if they had just taken action sooner, their debts might already have been resolved. Are you falling delinquent? If so, your credit is already being affected and you, like most people, probably do not want to file bankruptcy. Future employers, business partners, and other people can ask, “have you ever filed bankruptcy?” for the rest of your life. Now is the time for damage control. In many cases, just by freeing up several hundred more dollars a month with a debt arbitration program, you can have the peace of mind you need and get your unsecured creditors resolved. Much like a “credit card debt forgiveness” program, for clients who qualify, the creditors forgive a certain amount of debt that is owed. In some cases, as much as 100%. No one can predict specific future results because each case is unique. In other cases, clients want to lower interest rates, and while creditors often do not lower as much as they used to, we can give an estimate for what your payment would be on a non-profit debt consolidation or debt management program to see if it would accomplish your goals. This type of program is also called a consumer credit counseling, credit counseling, or credit counseling services. Whether you hear it called credit counseling, credit card debt consolidation, DMP, or debt management, it is the same program where there is one payment every month, creditor interest rates are adjusted, and the agency pays your creditors on your behalf. Need tax debt relief for Internal Revenue Service (IRS) or State personal or company tax debt issues? Hopefully, a Revenue Officer is not yet assigned and there have been no notices of imminent levies or garnishments issued. Even if no notices have been received, we have seen people and small business owners, have their or company’s bank accounts levied or wages garnished by aggressive Revenue Officers, without having received any written notices. It is a very stressful situation to know this could happen at any moment. When we start working for you, the tax professional assigned to your case, when needed, immediately requests a stay of enforcement for as long as possible to give time to get things solved. It is much better to take action sooner than later because once the IRS or State has levied your bank account, there are only 21 days before the bank has to send the money to the taxing authority. It’s much easier to prevent than to get the money returned. Past clients tell us that the immediate feeling of having a light at the end of the tunnel, having lower blood pressure, and being able to sleep at night are priceless. Then, when the original IRS and/or state tax issues are solved, they tell us how they feel much happier, free, and able to live life once again. The pride each and everyone in our team has for the 700+ Five Star Reviews is what makes us even more enthusiastic and dedicated to helping you. The first step for unsecured debt issues is to get your free, 100% confidential, no-obligation debt consultation to learn how much money you could save, how many months it would take to resolve your debt, the difference between other debt relief options, and what your new monthly payment would be. For tax debt issues, it is extremely important to get IRS and/or state tax assistance quickly and be able to request a Stay of Enforcement prior to the IRS or State starting expanded enforcement measures against you or your Company. When looking for a company to help you get out of debt, be sure they have the necessary accreditations that indicate that they are reputable, trustworthy and are regulated by associations like the American Fair Credit Council and the International Association of Professional Debt Arbitrators. The awards, memberships and certifications shown below indicate that we have the experience, resources and adhere to a strong code of conduct of the best in the industry. CuraDebt has been rated as #1 or in the top two among debt settlement companies and tax debt relief companies by the Consumer watchdog and review site, Top Consumer Reviews for 2009, 2010, 2011, 2012, 2013, 2014, 2015, 2016, 2017, 2018 and 2019. No other debt negotiation, settlement or tax debt relief companies have been in the top 2 for this period of time. CuraDebt Reviews. No Complaints. Read Testimonials. Customer Lobby is one of the top 3rd-party sites where clients give feedback about the quality of product or service of the company they worked with. They have excellent reviews of their services. CuraDebt is proud of the 800+ five-star reviews on Customer Lobby. Among these, there are no complaints and numerous testimonials of prior clients. CuraDebt has more five Star reviews with testimonials in Customer Lobby than any other debt negotiation companies. Read some testimonials to learn what others are saying about CuraDebt (opens in a new window). Read Shopper Approved Client Testimonials. Reviews Of CuraDebt. No Complaints. Shopper Approved is one of the largest and most reputable review aggregators on the web and trusted by millions when they need to know how other people rate a product or service. Curadebt has a 4.9 star average with ShopperApproved with 5 being the highest and 0 being the lowest. That makes us one of the top-rated debt negotiation and settlement as well as tax debt relief companies. 1) The membership dues are a flat rate per company and not based on the number of employees. That means that each company receives a rating and a larger company has the same (balanced) influence as a company with fewer employees. This is very important because, in some rating organizations that charge membership fees based on employee count, where letter grades are provided, large credit card companies have thousands of complaints yet retain an excellent letter grade while small companies with a handful of complaints have their grade affected. 2) Positive press online. The OBB overall has only positive feedback online. 3) The ratings are universal regardless of what state the company is headquartered in. The Online Business Bureau allows you to investigate if debt settlement, negotiation, or tax debt relief companies are legitimate and uphold what they promise you. NetCheck was founded in 1995 and offers real-time services to determine whether merchants are trustworthy or not online. NetCheck is also a fair rating organization in that membership fees are flat rate per company and not based on the number of employees. This ensures that there is no greater monetary influence in terms of ratings from a company with 1000’s of employees versus one that has fewer employees. Additionally, when looking at reviews of this rating site, there are positive reviews on their company and rating system. Honesty and integrity are two of the most important qualities when evaluating debt settlement companies. HONESTe Online is the rating and certification business bureau that ensures this. CuraDebt is a member in good standing of AFCC, the largest and oldest association of debt relief companies. In order to be a member of AFCC, debt settlement companies have to follow a stringent set of requirements, disclosures as well as maintain them through continual review. We believe that all companies that are operating legitimately and with consumers’ best interests at heart are members of AFCC in good standing, as is CuraDebt. This is important to you because you can rest assured that the highest quality in services and standards are being followed which ultimately gives you the best results and greatest peace of mind. The PowerProfiles.com directory is your trusted source for business information. Take a look at the company’s Power Profile. CuraDebt is among the top debt settlement companies. PowerProfiles.com, the official & online business database is much more than just a business to business directory. PowerProfiles.com helps member businesses grow and build trust with consumers. The goal behind following the guidelines as taught by The International Association of Professional Debt Arbitrators is to give you the best possible information in regards to evaluating debt settlement companies. At CuraDebt, over the 13 years of working nationwide and helping thousands of people and small businesses, we have created our own internal training series to supplement the training from IAPDA for our counselors. In fact, there are 20 to 40 hours of additional training that all new team members have to learn and pass exams on in order to begin speaking with and helping you! The U.S. Chamber of Commerce is the world’s largest business organization representing the interests of more than 3 million businesses of all sizes, sectors, and regions. CuraDebt is one of the top debt settlement companies a member in good standing and continues to support the activities that help promote new business growth throughout the USA. As part of CuraDebt’s commitment to create more jobs for Americans, for years we have donated to SCORE, a USA non profit that coaches hundreds of thousands of small businesses to succeed and employ more people. Experience of more than 19 years nationwide. In the top 2 in Top Consumer Reviews of Best Debt Relief Companies for over 8 years. Fees of less than 21% of total debt on a flat fee basis on our in-house program. Paid months of credit restoration for successful completion of program with a top rated credit restoration law firm. No monthly fees for in-house Debt Relief Program. CuraDebt charges performance fees as results are delivered for the CuraDebt in-house Debt Relief Program. Staff who have previous experience with debt consolidation. 4.9 Star Rated on Shopper Approved. All performance debt relief clients managed in house. Has over 800+ Five Star client reviews on CustomerLobby.com website. American Fair Credit Council (the leading debt relief industry association) Member in Good Standing. Member of NetCheck with No complaints. Member of HonestE Online with No complaints. Offers solutions to your tax problems. #1 rated with Top Consumer Reviews for Tax Debt Relief. Over 150 viewable real settlement letters up to 100% online, showing settlements dating back to 1998 (and more available upon client request). US Chamber of Commerce Member. 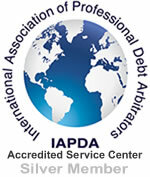 Certified by the International Association of Professional Debt Arbitraitors (IAPDA). Top 2 rated in Top Ten Reviews of Best Debt Settlement Companies. Has access to a network of local attorneys to aid in settlements as needed. There are several excellent companies in the industry that consistently rate in the top 5 along with CuraDebt. In independent evaluations, the closest company had 9 on the 22 point list of qualifications a debt relief company must have above. There are several programs that CuraDebt offers for debt and tax resolution. Call, email or chat with a counselor to get the details. We have designed our fees to be lower than the fees of the top competitors and at the same time offer you better attention, service and results." For 2019, CuraDebt is creating a new scholarship for students interested in STEM (science, technology, engineering, and math) majors. CuraDebt will award 1 scholarships of $500 to an outstanding college student pursuing studies in STEM (science, technology, engineering, and math) fields. The NEA says “If the United States is to hold a competitive edge in a rapidly changing global workforce, bolstering the nation’s science, technology, engineering and math (STEM) workforce is essential.” CuraDebt supports this effort and wants to encourage students to pursue careers in these fields to bolster our future economic prosperity. The applicants must be enrolled in an accredited 4-year university or college located in the United States. Provide a unique solution to the following issue: Come up with a unique way to solve the budget deficit through education and empowering our youth. You can be creative and create a YouTube video, write an essay or create an infographic for your solution. Include a cover letter. Be sure to include your name, your college, college year, graduating year and intended major. In your cover letter, explain how you plan to use the scholarship and why we should select your application. For video submissions, include a link to your video in your cover letter. To apply, submit your scholarship application to Scholarships@curadebt.com. To be considered for the 2019 awards, entries must be received no later than Dec 31, 2019. After submitting your application, there will be an automated confirmation message acknowledging receipt of your email. The winner will be contacted directly via email or by phone provided on the scholarship application. The winners will be notified on Monday, March 2, 2020.